After a short off moment during the second half of last week, the past three days the Bordeaux 2007 primeurs campaign seems to be coming to a conclusion. The good news is that we see some serious price decreases. Also, we see some very interesting wines being released - thus the right moment for some first recommendations. In my last posting I was complaining about the release price of Château l'Evangile (average consumer release price including VAT € 112). This Monday we saw the most comparable Pomerol château present its price: Vieux Château Certan was released at € 82, an impressive 40% down. A statement. Other major wines were also released at lower prices, but here no statements. Mere necessary corrections. And we shouldn't forget: from châteaux with a fairly stable price tag over the years - such as Léoville Barton - we cannot expect great price drops. 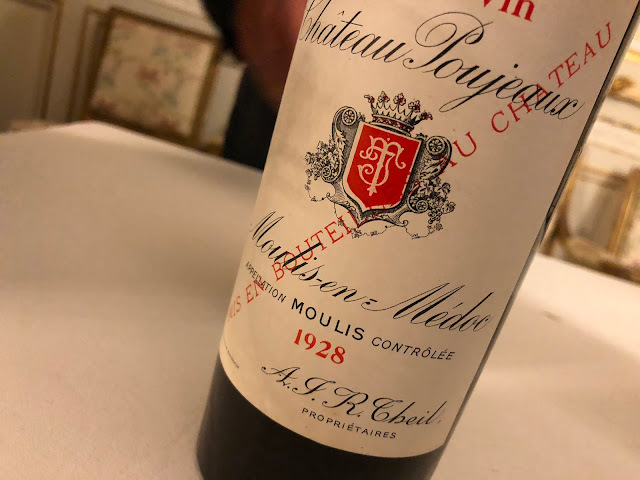 Congenial prices also from Saint-Emilion Premier Cru Classés Clos Fourtet and Pavie-Macquin: both these Derenoncourt-consulted wines are now more or less back on 2004-level. Clos Fourtet (from the new owners of the troubled Poujeaux) was received with varying success; the recently (to Premier Cru) promoted Château Pavie-Macquin stood an excellent chance however. Note: no original affordable petit châteaux in this list. E.g. from interesting regions such as Côtes de Castillon. Some other time. By the way: I am not sure how useful it is to buy the "smaller wines" en primeur. So for now just the Christmas 2012-2020 − or so − bottles. Of course when you think about buying Bordeaux 2007 at all. Check out Bordoverview for all released wines.